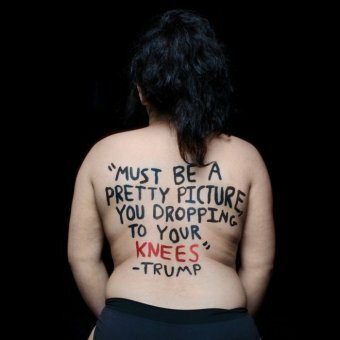 18 year old Aria Watson, a student in Oregon, created a series of photographs of women with some of Donald’ Trump’s misogynistic statements written on them for a photography class. The project has gone viral. Women inside and outside the government are chilled by the news today that Donald Trump’s transition team has asked the State Department to provide him with detailed information on U.S. programs aimed at benefitting women around the world, as well as a list of positions in the department that are involved in reducing gender violence and promoting women in the workplace. A senior official said people in the State Department are “freaked out” by the request and deeply concerned Trump wants to roll back these diplomatic efforts, many of which were spearheaded by Hillary Clinton. It’s no wonder they’re concerned. Based on his long time past behavior, Trump likely sees such programs as a waste of money. 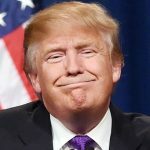 Trump has long displayed antipathy towards women to the extent that the newspaper the UK Telegraph has created an ongoing article titled “Donald Trump Sexism Tracker: every offensive comment in one place,” and it’s a long and deeply offensive read. On December 14, 2016, Aria Watson, an 18 year old student in Oregon, created a series of photographs for class project highlighting Trump’s misogynistic behavior. She called it #SignedByTrump and is a graphic demonstration of Trump’s frank insults towards women through the years. The photographs, which can be seen here, are starkly informative of the president-elect’s offensive behavior toward women, and give an idea where he is likely heading with regard to the future of State Department programs designed to help women.